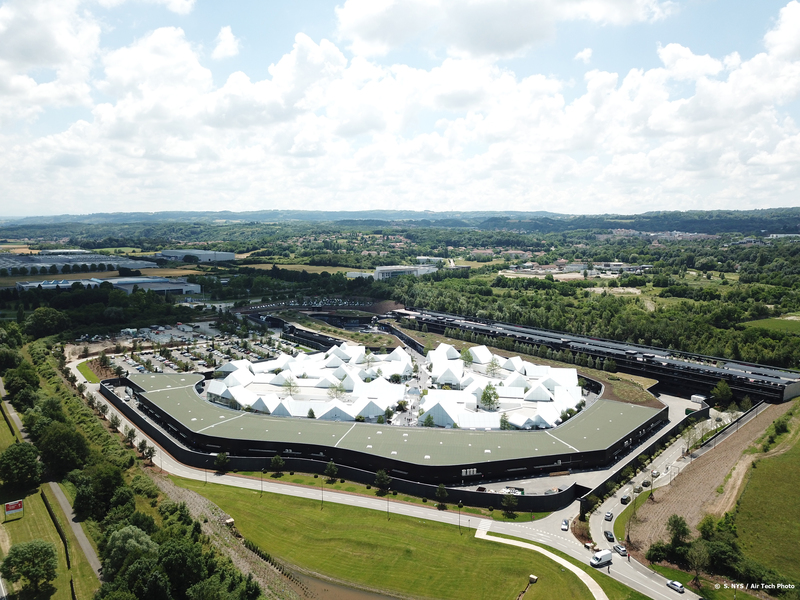 The Village Outlet, Villefontaine (France) is located between towns of Villefontaine and La Verpillère on a 128,000 m² land area. The Village is a good example in environmental and architectural terms. It features a green roof covering the car park, ecological ponds using the principle of phyto-purification, and glass and wood shops. the project design and construction management regarding the structure, core and shell/façades, central heating and ventilation, plumbing, fire aid hose system (RIA), electricity, elevators and lifts, and finishing works.